Transit Ads™, South Africa’s largest transit media company, has been awarded the exclusive advertising rights to the Rea Vaya Rapid Transit System (BRT) 1B in Johannesburg, along specific routes. In addition to a comprehensive, national and impactful portfolio of branding opportunities, Transit Ads now offers advertisers another highly valuable engagement point, increasing audience reach by 1,7 million every month. Transit Ads™ already reaches 12,5 million weekly taxi commuters, 2,8 million bus commuters and 1,2 million train commuters weekly. This audience is economically active, tech-savvy and usually the main household purchasing decision maker, making them a key consumer for brands. “One of the key elements to ensuring that advertising investment receives excellent return in terms of awareness, assimilation and response to call to action is to consistently bring new opportunities to the table. Opportunities that are in line with, and take advantage of, consumer growth, urbanization, infrastructure development and socio-economic shifts. With the addition of Rea Vaya into our extensive portfolio, we are doing exactly that,” continues Naidu. 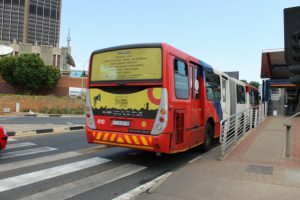 Rea Vaya, which means ‘we are going’, is a project by the City of Johannesburg aimed at providing an effective bus rapid transport (BRT) system that is affordable, safe and reliable. Buses run along dedicated routes that stretch across Johannesburg’s busiest traffic corridors. The BRT project includes extensive efforts to integrate with a wide range of other services including feeder vehicles, pedestrian corridors, bicycles, metered taxis and private cars. Rea Vaya transports 80 000 commuters per day and this number is continuously growing in line with the expansion on the network. 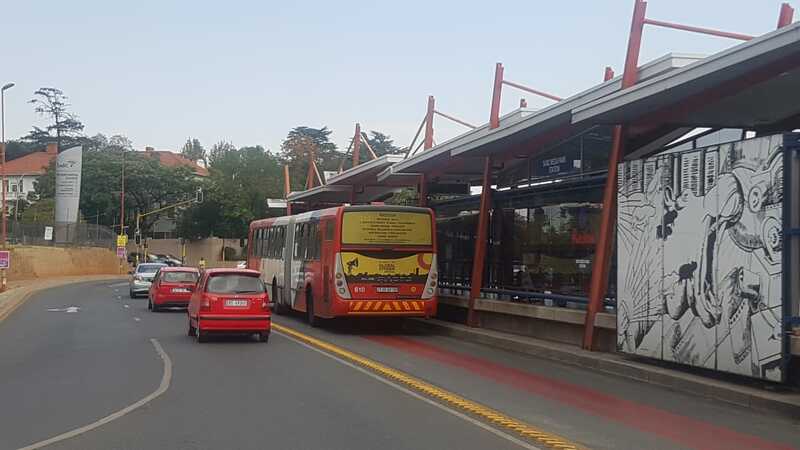 Rea Vaya is the backbone to the Corridor developments, and the blue, red and white buses have become a familiar part of the Johannesburg landscape. Transit Ads™ has been awarded the exclusive media rights to Rea Vaya’s Route 1B which includes Soweto, JHB CBD, Braamfontein, Kingsway and Empire Roads. This route passes through high density areas that include commercial, industrial and residential zones. The audience is dense, varied and individuals experience high dwell times – whether on the Rea Vaya, waiting at the bus stops, walking past or sitting in traffic. Rea Vaya Route 1B crosses areas that are hives of activity with businesses, tertiary institutions and consistent foot traffic. The route goes past the biggest university campuses in Johannesburg – Wits and U.J. – providing brands with a valuable and effective engagement point for targeting students. This audience is very image conscious and impressionable with regards to brands and advertising. This consumer lives connected – things like data, airtime and social media are an integral part of their day. The Rea Vaya BRT system was designed to get working commuters from A to B, and this is particularly relevant to this audience with several media houses and offices along this route. Working commuters have a disposable income, the majority are breadwinners and therefore make the purchasing decisions. They are often the authority on financial decisions that include banking, life policies, funeral policies and savings accounts. This audience is open to brand messaging and information, especially if it is frequent and part of their daily life. Branded bus backs serve as visual entertainment for surrounding cars, especially during peak hour traffic, whether it be for the driver or passengers. These consumers are open to communication as they are sitting in traffic, they are captive and are thinking of what they need to purchase on their way home. The majority fall into the LSM A group and therefore have more disposable income to spend on luxury goods. Rea Vaya buses serve as moving billboards that present a brand and its message to this highly receptive audience. 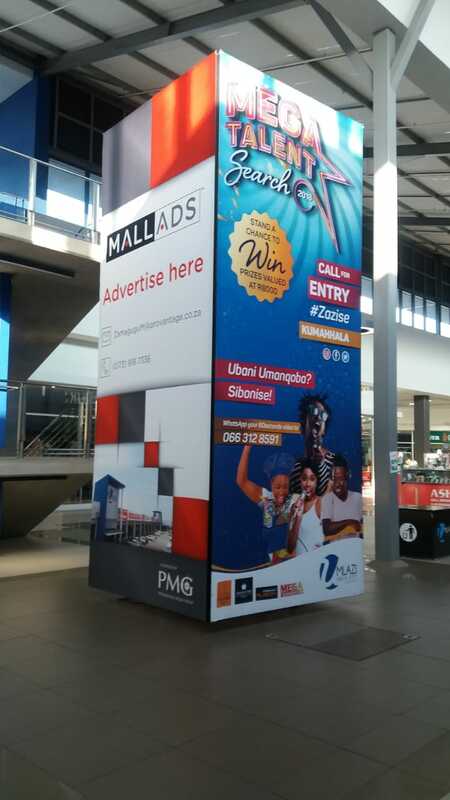 “The Rea Vaya IRT system and its bus fleet are world class and the ability for brands to reach consumers via these moving billboards even more so. The exclusive rights allow us to provide unmatched opportunities for brands to communicate their message on premium media space. In terms of advertising in a high traffic, high consumer density environment, the exposure and the ability to cut through clutter is incomparable,” concludes Naidu.